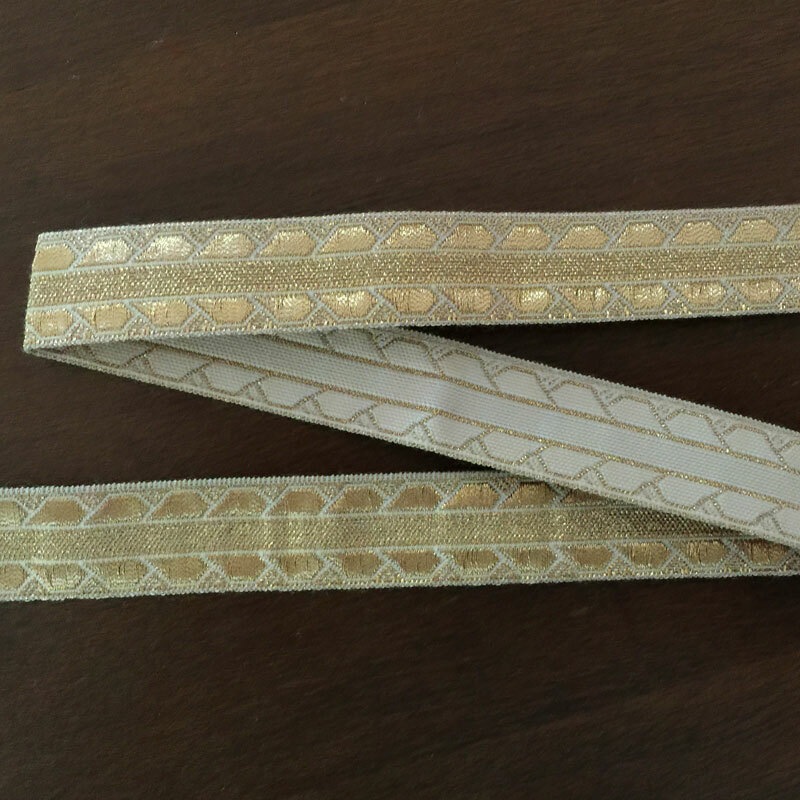 This trim is 25mm (1 inch) wide and has a great jacquard pattern woven in Gold with a White background. The reverse side is different and beautiful also. 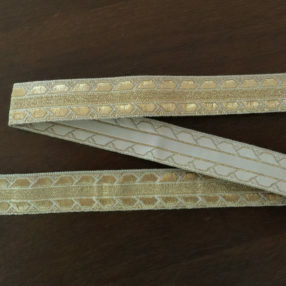 Great for a renaissance outfit for men or women. Ask for a swatch and you will see how lovely it is!